And let me tell you, we did struggle a little. Not only were some of the items hidden very well in the tanks, but we ended up being mesmerised by some of the gorgeous marine life as we passed through, that we had to go back and start again to make sure we didn't miss any the second time around. As you walk around, you get to see jellyfish which are just stunning to watch as they glide through the water, and rays who like to come to the edge of the tank to say hello as you peer in. Penguins are obviously a big pull to some visitors and they are super adorable to watch. You can go underground and watch them swim around in their pond, or go overground and see as they waddle around. But from clownfish (hello Nemo!) to sharks, there are so many marine life here. There is even a Seal Hospital which is the only one in Yorkshire and provides help and rehabilitation to over 30 seals a year. As you walk through the Seal hospital, you can follow their journey, from being rescued, treated and the released back into the wild with the help of RSPCA to ensure the seals get the best possible getaway and chance at a healthy life in the wild. You get to walk through the amazing Ocean Tunnel which holds 156,000 litres of natural seawater and is home to an array of different colourful species of fish, and sharks, as well as the majestic Loggerhead sea turtle, Antiopi. 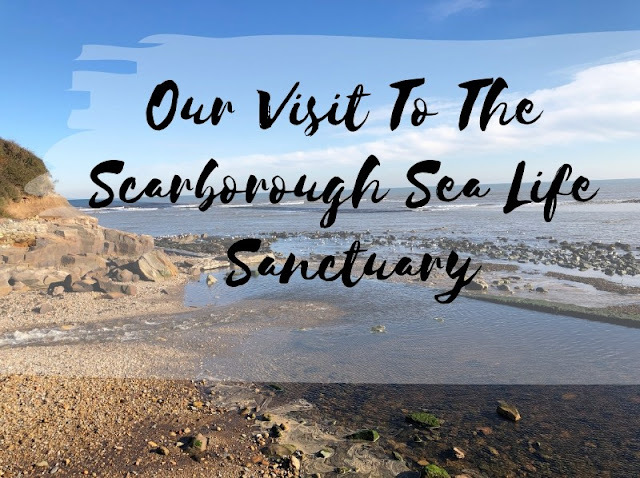 As well as being the tanks to lose yourself in as you walk by, there is also a rockpool which gives us the chance to see that the conditions within them are different from the open sea. In this part, you can touch a starfish, or feel the shell of a crab. Whilst we were there, they were talking about sharks and how some lay eggs that are shaped like corkscrews - they actually had a few eggs with them, and T took the opportunity to feel one saying how odd they looked compared to eggs we are used to seeing. Back to the A-scarium though, and once you've solved the puzzle, the Sea Witch will cast her magic spell and open the treasure chest, giving those who successfully navigate the trail a special prize. Now this event has finished, I can say that it was your very own beaker. I've never been there. It looks like such a lovely place to visit.